from 11 a.m. to 4 p.m. Saturday February 18th. 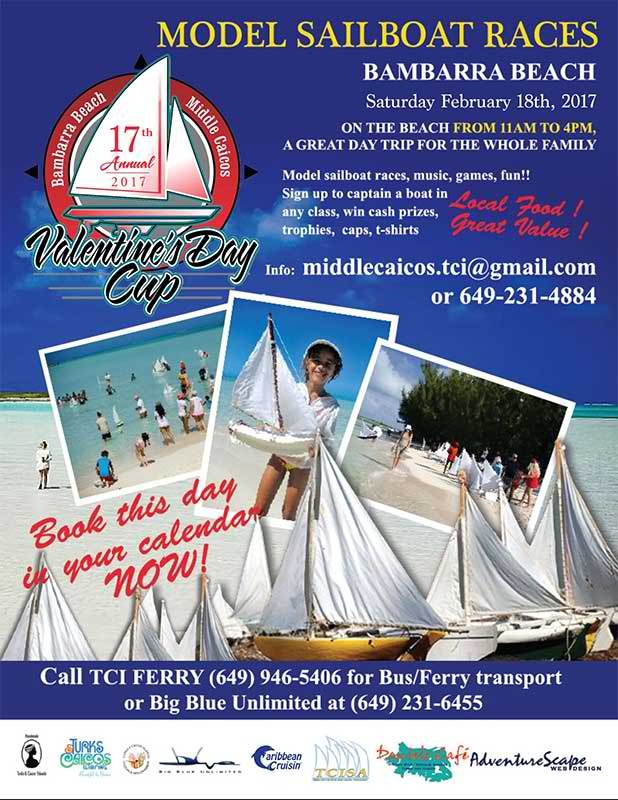 In 2017 there will be four race classes: Premiers Cup Challenge (Class A big boats), Ladies League, Class B medium boats and — new this year — the Sweetheart Race for couples. Everyone is encouraged to sign up and try their hand at racing in any class. The boats are there to be enjoyed. Food on the beach is tempting, music lively, games and fun for all.